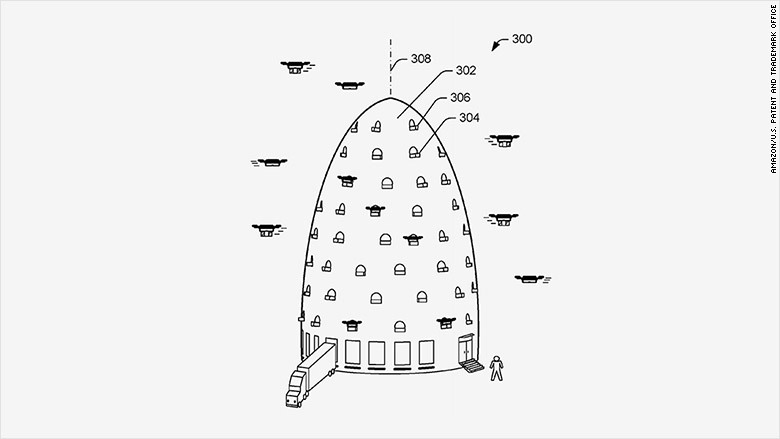 The future of Amazon drone deliveries could start at massive 'beehives." 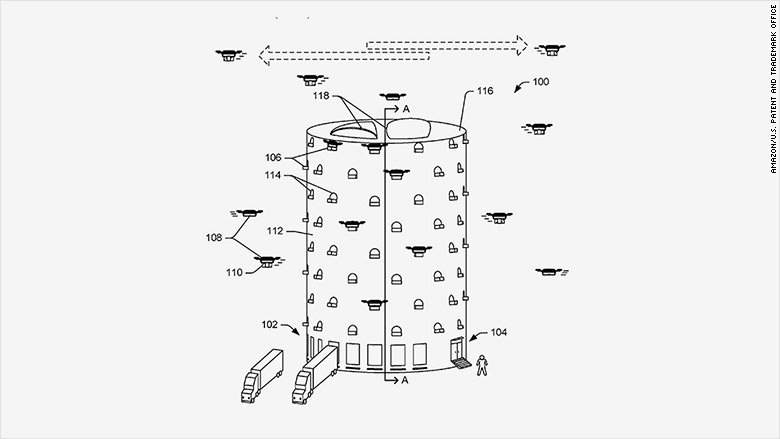 Amazon (AMZN) has filed for a patent for beehive-like towers that would serve as multi-level fulfillment centers for its delivery drones to take off and land. The facilities would be built vertically to blend in with high rises in urban areas. 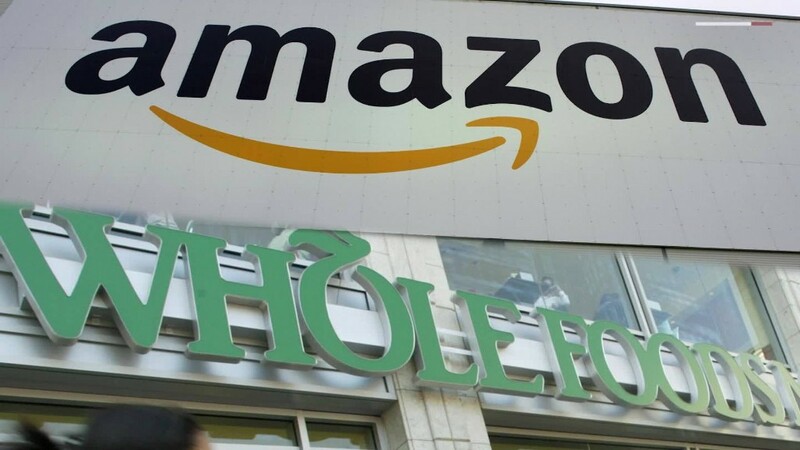 Amazon envisions each city would have one. The patent application, filed in December 2015 and published on Thursday by the U.S. Patent and Trademark Office, features several drawings of these buildings, such as the beehive, a cylinder-shaped center and one that looks like a UFO. The towers could support traditional truck deliveries and include a self-service area where customers can pick up items, the patent states. It also details how employees would attach the packages on drones. Amazon envisions its drone delivery fulfillment centers as beehives. Traditional fulfillment centers are often located outside of cities due to their large size. But the facilities aren't always convenient for quick deliveries into cities, where a growing number of people live. Amazon's drone delivery facilities aim to change that. Although it's unclear if Amazon will make the drone centers a reality -- patents often don't see the light of day -- it's the latest look into the ecommerce giant's ambitions for drone delivery. Another rendering of Amazon's vision for a drone delivery fulfillment center. Amazon also filed for a patent in April 2016 for blimps stocked with drones to make extra speedy deliveries.